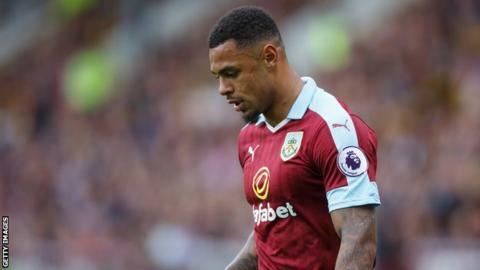 The Football Association has charged Burnley's Andre Gray with misconduct over homophobic posts by the striker on Twitter in 2012. One tweet from the 25-year-old Premier League player's account appeared to condone killing gay people. The tweets from four years ago were posted when Gray was playing for non-league Hinckley United. Gray, who is charged with bringing the game into disrepute, has until 6pm on 31 August to respond to the charge. He apologised and asked "for forgiveness" for the posts, saying he was now a "completely different person" and did not "hold the beliefs written in those tweets". The posts, which also contained offensive terms, were deleted on Saturday soon after being highlighted.